Great pick! I am so beyond excited for Insurgent! I loved Divergent! It is one of my favorite books and I am dying to know what will happen next. Yes May is finally getting closer! I loved Divergent too! It is sooo much better than Hunger Games!! Everyone is picking this one! I better start Divergent soon lol :) Great pick! Who isn't waiting for this book?!! :D I am SO excited to get my hands on this! It will be amazing I can already tell! :D Brilliant pick! Opps! I haven't read Divergent yet! D: And I've got one month to do so before Insurgent comes out. There's so much talk about this. Thanks for sharing! Yayyyyyy can't wait for this book! It is exciting how it gets closer every week! Yay for Four! Yesss! May cannot come soon enough! OMG! Definitely! 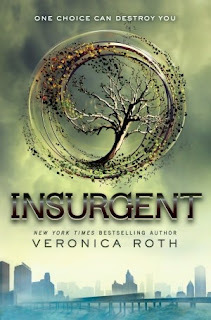 I totally love Divergent that somehow I'm a die-hard fan of it=D Awesome pick this week! Who doesn't want this book. I so want this book. Great pick ladies. This is my pick this week too, lol! I can't wait for this one either. But I haven't read Divergent yet! Heres my WoW!! 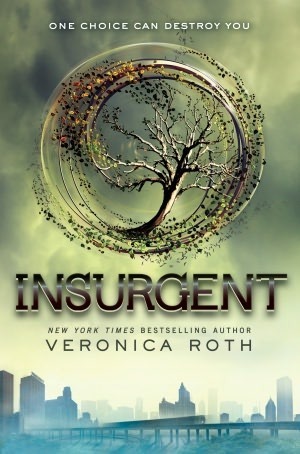 I want Insurgent sooo sooo sooo bad!!! I'm probably the only person on the planet who hasn't yet read Divergent. I own a pretty signed copy and everything, just have failed in life by not reading it yet.